Today's post is written by Clare McLusky who provides us with an introduction to her experience with cancer and to the popular practice of Mindfulness. Clare has a Masters degree in Mindfulness Based Cognitive Therapy from University of Oxford and teaches Mindfulness Based Cognitive Therapy to people living with cancer. Clare is also a qualified Occupational Therapist, Yes to Life Helpline volunteer and one of the founding members and facilitators of Oxford Sangha, practicing in the tradition of Thich Nhat Hanh. Welcome to Mind Choice, a mindfulness practice and healing journey blog post. It contains reflections on what everyday life brings and what gives me the inspiration to continue more or less on the path. It’s been a fascinating journey so far and my perspective on life has changed. I hope to share thoughts and insights that have arisen during difficult times when I have reflected on and examined my experience through journaling, reading many inspiring and wonderful books, the help of some great teachers and meditation. More than anything else I hope that this series of posts will inspire you to follow your passions and encourage you to practice mindfulness not with the goal of a cure and everlasting happiness but because if we pay attention, in a certain way, each moment can be a perfect moment and when we are at ease with ourselves then there is the possibility of healing. You might well be asking yourself what qualifications I have for this. A diagnosis of throat cancer almost exactly 8 years ago brought me to this present moment, sitting here writing a blog on mindfulness for Yes to Life. I feel a sense of joy and happiness and sadness pass through me as I write this and I am afraid to say a little tinkling of pride in myself! I am very grateful to all my family and friends who supported me and for 3 things that happened at that time. Whilst I was anxiously waiting for a diagnosis, Dr Rosy Daniel’s book 'The Cancer Directory' practically fell off a shelf at me and really provided everything I needed to know when confronted with this bombshell. Secondly, a nurse in radiotherapy talked to me about the benefits of meditation. Finally, a dip into The Tibetan Book of Living and Dying helped me to understand that I had a choice about how I thought and felt. It was such simple advice but had a profound effect on me. It went something like this: - when you have a pain, allow it to be just a pain. Following surgery and radio therapy when I had a pain in my throat my mind would be straight off on one “oh no, it’s back, the cancer’s back, it’s spread …….I’m going to die”. These thoughts would circulate and escalate and I would become more tense and surprise, surprise the pain would get worse and start spreading up to my face and my eye would start twitching and that was it I had myself in the grave! 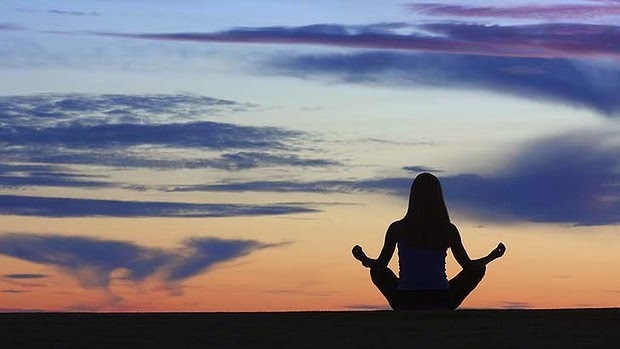 Mindfulness is an ancient Buddhist practice that is becoming increasingly popular in the West, thanks to the work of Jon Kabat-Zinn in the US and Professor Mark Williams here in the UK who have adapted the teachings of mindfulness to secular settings. Mindfulness is a particular way of paying attention to ourselves and what is happening in our daily lives. It is intentional and helps create the space to consciously choose how we respond to the stresses and the challenges of life that can be very empowering and particularly welcoming after a diagnosis of cancer when things feel very much beyond our control. 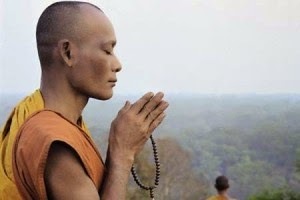 Being aware of our moment-by-moment experience and bringing an attitude of non-judgemental, kindly awareness toward whatever is present, whether fear, sadness or anger, allows us to see clearly the connection between the different elements of experience – bodily sensations, feelings and thoughts. This allows us break old habits such as avoidance, negative rumination or catastrophic thinking. Notice how your body feels, sitting here reading this blog. Notice the weight of your body sitting on the chair, the sensations of your feet on the floor, the touch and feel of your clothes, feelings of warmth or cold. Notice whether you are holding any tension in the body maybe in the shoulders, the face. Now notice that you are breathing. How does your breath feel in the body? Resist the urge to change or control your breath, allow the body to breathe itself, simply noticing any sensations as the breath moves in and out of the body. When you are ready bring your awareness to your thoughts – are they calm or racy, maybe noting the focus (worrying, planning) and then notice how you are feeling right now (peaceful, anxious, joyful, sad) and breathe with whatever you find. The breath is always there as an anchor to a deeper experience of yourself. “If you are breathing, there is more right with you than wrong with you”. Don’t just do something – sit. I saw or heard this book title the other day and it really resonated with me. I am at a point where I frequently find myself needing to up my mindfulness practice, by which I really mean the formal practice of sitting meditation. All my routines go out of the window during the school holidays. Without my regular practice I notice myself ‘tightening’ and becoming more reactive and judgemental. So I am right now slowly establishing my practice again. What’s interesting to notice is that this time I am not giving myself a hard time for not having kept it up. I am gently shepherding myself back to the cushion with kindness. The challenge is resisting all the things that need doing after school drop off – the usual daily house stuff, the dogs, work but on top of that builders are about to start, I have a deadline for a blog and I really need to get a website up and running and a course off the ground! I walk back through the door and it is so easy to start tidying up, having a coffee, planning, and generally getting caught up in the day’s activities. If I make it up to the attic space where I have my meditation cushion ready, I am all too easily tempted to have a quick check of my e-mails – whoomf – a great chunk of time gone. So, I am gradually getting back into the discipline of meditation before anything else and at the weekends enjoying a cup of tea in bed and then hopping on the cushion before breakfast. My son is a fantastic gauge of my meditation practice. When I am caught up in ‘reacting’ angrily he immediately wakes me up to my behaviour and makes me laugh at myself when he says “time for your meditation mum”. I often wish that meditation didn’t sound so like medication. We’re so good at avoiding being with experience, particularly painful feelings like fear, by doing something, keeping busy, eating, blanking out, watching TV. Sometimes all it needs is a slight sense of uneasiness. I feel this in the pit of my stomach and it is all too easy to reach for something in an attempt to blot it out, rather than choosing to stop for a few moments, feel the sensations of the body, breathe with them and maybe gain some insight. Our feelings and thoughts are so influenced by each other and pausing for a few moments gives us the opportunity to observe our habitual patterns of thought and behaviour. The basic practice of mindfulness is to stop everything we are doing and just look at what is happening. I still find myself choosing what feels like the easier option in the moment – reaching for a glass of wine! However, at least now I am aware I am doing that. To read more of Clare's Mind Choice series please click here. To find out more about Clare's work, please visit her website.